Lake Tahoe is known for its pristine water and deep-water clarity, an important indicator of the water quality and ecological health of the lake. Over the last several decades the health of Lake Tahoe and the surrounding watershed has been deteriorating. From 1968 to 2016, Lake Tahoe’s deep-water clarity declined from 100 feet (ft) to 69.2 ft. This decline in water clarity can be attributed to pollutants in the water column including fine sediment particles (16 microns or less) and excess levels of nitrogen and phosphorus that promote algal growth. Primary sources of pollutant loading include upland runoff, stream erosion, and atmospheric deposition. A relatively new threat causing changes to Lake Tahoe’s water quality and ecosystem is the presence and proliferation of aquatic invasive plants and animals. The Nevada Tahoe Resource Team is working to improve water quality and clarity at Lake Tahoe by funding and implementing stream environment restoration and water quality improvement projects on the Nevada side of the Lake Tahoe Basin. Working with our basin partners, the goal is to reduce the amount of nitrogen, phosphorus, and fine sediment particles entering the lake to restore the historic clarity of nearly 100 feet by 2076. The Water Quality and Erosion Control Grant Program provides funding for Environmental Improvement projects that restore and enhance the Lake Tahoe ecosystem on the Nevada side of the basin. By purchasing a Lake Tahoe License Plate in Nevada, you can support preservation and restoration efforts in the Lake Tahoe watershed. On an annual basis, the Nevada Lake Tahoe License Plate Program provides approximately $350,000 for monitoring, implementation, scientific research, and education and outreach projects. Aerial view of Sand Point along the eastern shoreline in Nevada. 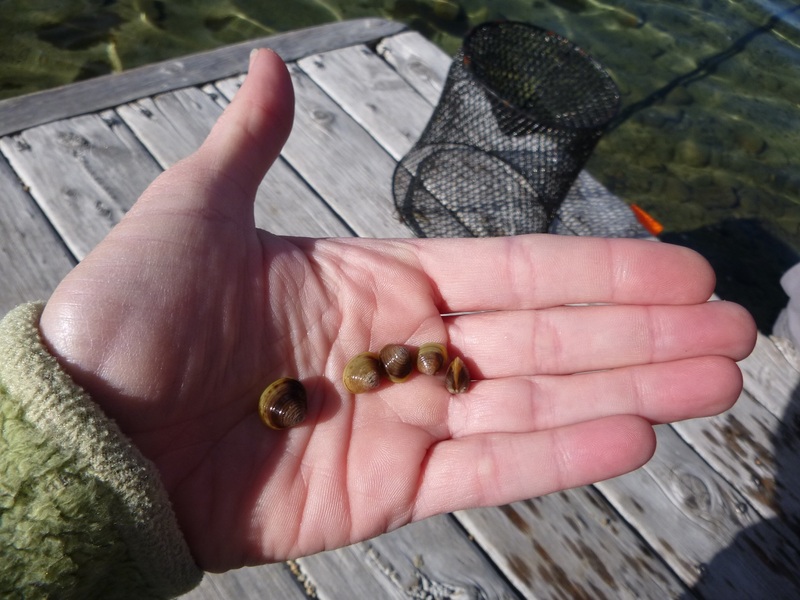 Asian clams, an aquatic invasive species, release nitrogen and phosphorus in the water.